The names of potential witnesses and jurors are kept confidential for their own security. 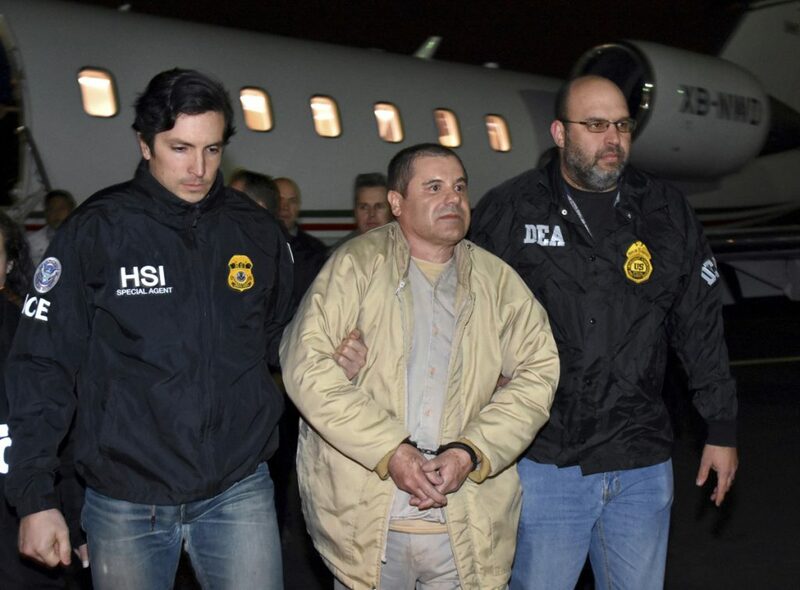 NEW YORK — He is accused of having a hand in dozens of murders, of using his drug cartel to smuggle more than 200 tons of cocaine into the United States, even pulling off running the massive operation from behind bars. That’s when he wasn’t busy escaping from jail – twice. The almost-mythical criminal pedigree of Mexican drug lord Joaquin “El Chapo” Guzman, who was extradited in 2017 to face U.S. drug conspiracy charges, has sparked security concerns at his upcoming New York City trial that at times have drawn as much attention as the case’s sensational allegations. The trial starts Monday with jury selection, and opening statements are likely on Nov. 13. Prosecutors say Guzman was in the habit of ordering the killings of anyone who got in his way during his heyday in Mexico as boss of the Sinaloa cartel. In his way now is a lineup of government witnesses who survived the wave of violence and are expected to give details about the ruthless way he kept power for 20 years in the cutthroat world of international drug trafficking. The defense says the witnesses are the true bad guys whose testimony shouldn’t be trusted. The names of the witnesses have been blacked out on court documents with prosecutors saying their identities need to be protected because their cooperation could put them in the crosshairs of a vengeful cartel. According to court papers, some are being held in special jail units for their protection, while others are in witness protection programs. The list of people who could turn up on the witness stand is long. Two standout possibilities are twin brothers Pedro and Margarito Flores, former Chicago-based narcotics wholesalers who did business with Guzman before their arrest in 2008. They agreed to cooperate and record phone conversations with Guzman about the size of shipments smuggled on boats and airplanes. The now-imprisoned brothers paid a steep price for flipping: Prosecutors say in 2009 their father was murdered in Mexico by a cartel hit team. At pretrial hearings leading to the trial, heavily armed federal officers and bomb-sniffing dogs patrolled outside. Anyone trying to attend the hearings was put through airport-style metal detectors at the courthouse entrance and at the door of the courtroom itself. After Guzman was brought to New York, authorities here decided he should be housed in solitary confinement in a high-security wing of a federal jail in Manhattan that has held notorious terrorists and mobsters. Central to that calculation was Guzman’s history of giving directions to his lieutenants from Mexican jails and credentials as a two-time escapee there. The second time was via a mile-long tunnel.